Hello, and welcome to the Leadership Done Right Podcast, Episode 61: Four Ways You Influence Others. Hi friends! In last week’s episode, I shared a story about my cousin that was lost in the Utah mountains. I want to thank each of you for your prayers and thoughts this past week. I say with a very heavy heart that the rescuers found him, but unfortunately he did not make it. The area where he was lost was very rugged country. They found him about a mile and a half from his campsite where he had fallen down a ravine and passed away. He was a great man that was loved by all and he had a special way of making everyone feel important. He also sincerely cared about each person he met. Overall, he was just a great person and truly exemplified what it means to be a great leader. This past week I have read countless stories from people that were touched, changed, and made better people because of Ray and the positive life he led. Some may say, “He was just a school P.E. Teacher, how is he a leader?” Ray is a great example of how we are all leaders by the influence we have on others. In today’s episode I am going to talk about four ways we influence others. Our actions are always influencing others. Positive actions – help others, random act of kindness, smile, etc. Negative actions – mean to others, treat them poorly, run a red light, bullying, group think mentality, etc. The words we choose to say have a major impact on others. Kind words uplift others. Mean words tear others down. Positive/negative feedback. Our choices always impact others. There a study that shows that what we buy at the grocery store has an impact on what other behind us will buy. People are always watching the choices we make and they make their own choices based on that. When I was in jr high and high school, I had several teachers encourage the students to make a decision from the very beginning that we were not going to do drugs. By making that decision, we didn’t have to think the moment we were asked what we were going to do. The same goes for all decisions we make. We can think about potential situations that could arise and decide what to do beforehand. That’s what being an international leader is all about. Decide what you will do and then follow through. When people see you make decisions, it will influence the decisions they make. Never underestimate the influence you have on others. Look around and think about all the people that influence you. You’ll probably find teachers, leaders, parents, mentors, and many others that have influenced you to be the person you are today. We all influence others. You don’t have to be a “person of influence” to be influential. In fact, the most influential people in my life are probably not even aware of the things they’ve taught me. When I was a service missionary, I ran into several people that had been influenced by previous missionaries prior to me meeting them. When I met them, they were much more open to the message I was sharing because of they previous missionaries. They regularly commented of the positive impression they had received from people before me. Thank you for listening to this episode of the Leadership Done Right podcast. You can check out the show notes at LeadershipDoneRight.com/PodcastEpisode61. I will include an outline of the topics we discussed and related links. If you would like to listen to the next episode of this podcast, please subscribe on iTunes, Stitcher, or whatever other podcast platform you use. 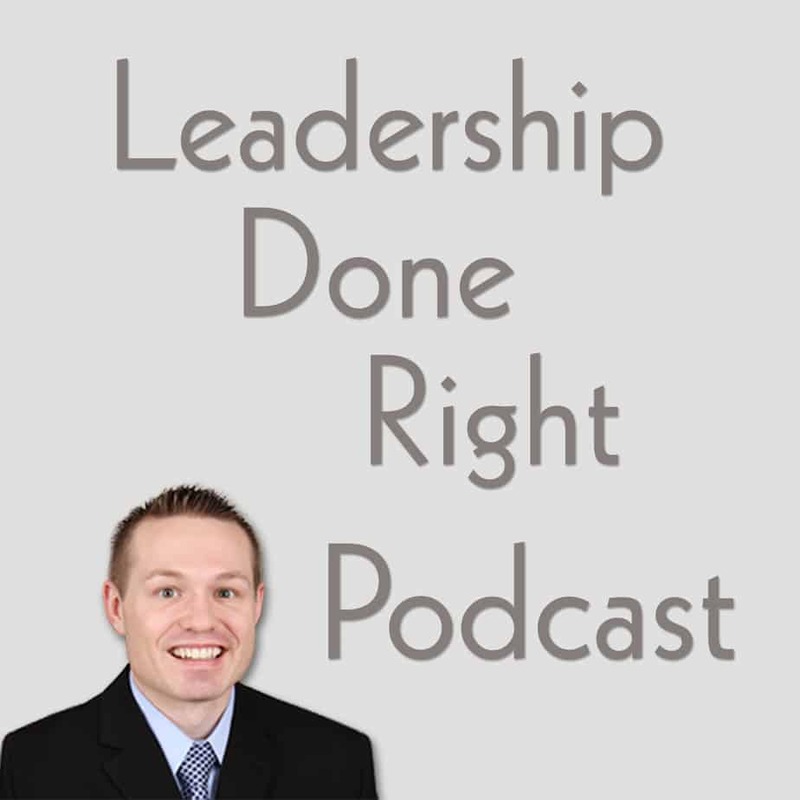 You can also check out the full list of episodes and platforms with this podcast at LeadershipDoneRight.com/LDRPodcast.